The 2002 World Summit on Sustainable Development in Johannesburg focused attention of the world's media on environmental issues, important among which was the development of renewable energy (RE) sources. These are widely seen as a means of combating climate change induced by rising levels of CO2 in the atmosphere resulting from the combustion of fossil fuels. The rate of energy consumption is predicted to triple over the next 50 years or so, emphasizing the need to develop novel sources with lower environmental impact. Given that the current overwhelming dependence on coal, oil and gas for power generation, heating and transport is likely to continue for some considerable time into the future, there is need for increasing attention to be given to improving efficiency and the development of methods for carbon sequestration. The role of nuclear power is also under review. It is particularly timely then, to examine the prospects for the so-called renewables, such as wind, wave and tidal power, thermal and photovoltaic solar, hydro, biomass and biogas. We have commissioned a group of leading experts to contribute authoritative reviews of the various aspects of the subject in a critical but balanced way. The first article is by Bernard Bulkin, Chief Scientist at BP plc. Taking as its starting point an analysis of the changes resulting from the last 'energy crisis' of 1973, this reviews 'The Future of Today's Energy Sources' and so provides a basis for evaluation of the emerging alternatives, including renewables. The future supply and demand for coal, oil and gas in the various sectors in which they are used, viz. 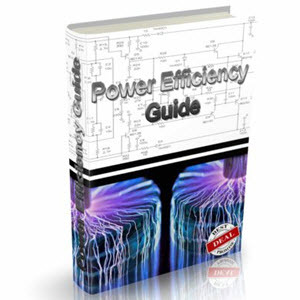 transport, power generation and industrial/domestic/agricultural applications, are examined. This review concludes that shortage of supply will not be a driver for change in the near future and that increases in the efficiency of use and the development of effective methods for carbon sequestration will prolong the role of fossil fuels. 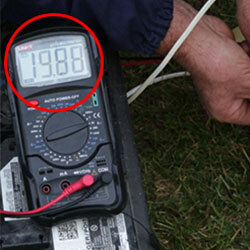 Further evaluation of the prospects for energy conservation and carbon sequestration is included in the second article. Together with a critical assess ment of the role of nuclear power, this sets the scene for a shift in focus to the new renewable energy technologies. In his article on 'Sustainable Energy: Choices, Problems and Opportunities', David Elliott of the Open University's Energy and Environment Research Unit examines the economic, social and environmental implications of the development of sustainable energy systems and the strategic technological choices that lie ahead. The article is rich in detail on comparative costs and risks. The integration of renewable energy generation into the electricity supply system without compromising safety or reliability is key to the commercial exploitation of RE. The technological considerations associated with integration are analysed in the next article by David Infield and Paul Rowley of Loughborough University's Department of Electronic and Electrical Engineering. The variability of many of the RE sources (e.g. wind) presents problems for integration, but these can largely be overcome by aggregation of supply (e.g. wind farms) and demand (many consumers). 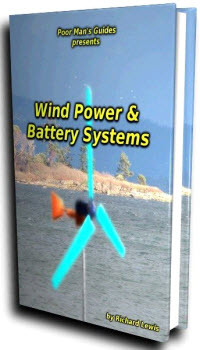 The technical issues associated with network integration of wind power, photovoltaics, water power and biomass are outlined here and ways of dealing with the intrinsic problems of stand-alone systems are described. The fourth article, written by Adrian Leoning of CPL Envirogas Ltd, is concerned with the potential for power generation from freely available organic material. This encompasses landfill gas ('energy from waste'), biomass and waste bio-oils, and includes evaluation of both technological and economic considerations. Then follows an article by Fiona Mullins, who is a Senior Associate of Environmental Resources Management in Oxford. This addresses emissions trading schemes and their consequences on reduction/redistribution of environmental burdens and impacts. It concludes that emissions trading is emerging as a 'licence to pollute' in the early stages, but is likely to be an effective tool for reducing greenhouse gases in the longer term. An article by the current UK government Minister for Energy and Construction, Brian Wilson, then outlines the government's renewable energy policy, providing insights into the workings of the Non-Fossil Fuel Obligation (NFFO) and other related policy tools. The final article, by Andrew Stirling of the Science and Technology Policy Research Unit (SPRU) at the University of Sussex, offers a critical analysis of the methods currently in use for the appraisal of sustainability of the various energy options. Conventional comparative risk assessment and environmental cost-benefit analyses of renewable and other electricity supply technologies are shown to be flawed. The relationship between these established 'science-based' techniques and the newly emerging 'precautionary' approaches to sustainability appraisal is discussed and some practical ways forward are presented. 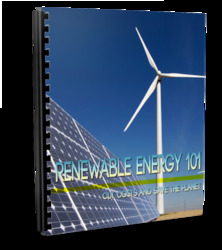 Overall, we believe that this collection of articles provides a timely and authoritative examination of many of the most important issues and concerns relating to renewable energy sources. The extent to which these offer solutions to problems of climate change and sustainability is under intense scrutiny now and the insights provided by these review articles make them essential reading for all concerned with the environment. The volume is commended particularly to those engaged in the energy industries, both traditional and developing, to policy makers, consultants and engineers working in this field, and to both teachers and students in higher education.